Capt. 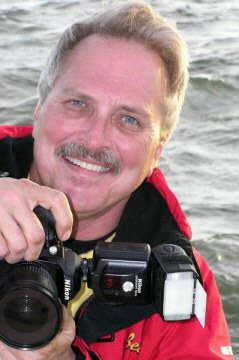 Bill Cannan has been a professional fishing guide since 1991. 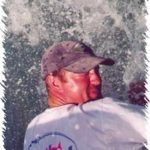 In the years since, Cannan has evolved into one of the Western Gulf Coast’s most versatile, experienced and respected angling pros. Cannan began his career as a bass guide, fishing Lakes Conroe, Livingston and Sam Rayburn. He soon expanded his charter business into the saltwater arena, running inshore and offshore fishing trips out of Galveston and Port O’Connor on the Upper and Middle Texas Coast. In recent years, the veteran guide and tournament competitor has focused on blue-water fishing out of Port O’Connor. 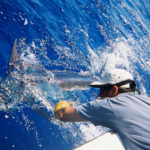 Although he specializes, and very successfully, in billfish and tarpon, Cannan also regularly puts his clients on steady catches of red snapper, cobia, king mackerel, wahoo, grouper and sharks. His 36-foot Yellowfin BIDNEZ is a floating reflection of Cannan himself … dependable, always on the go and well-suited to most any angling challenge that might be encountered. Rigged with triple Yamaha F250 outboards, BIDNEZ takes Cannan’s customers on a straight line to the action. It’s the captain, however, not the boat, who knows the way to the hotspots. Be it for blue marlin off the Continental Shelf or redfish on the calf-deep flats of POC’s inside “lakes,” Bill Cannan knows not only where to find an expansive array of coastal species at any given time of year, but also the specific strategies that will put those fish on the deck trip after trip. As much as anything, that unerring ability and consistency comes from experience. At 37, Capt. Bill Cannan has logged more fishing trips and secreted away more unexploited GPS numbers than “old salts” twice his age. He works extremely hard at what he does, and the proof is in the pictures. Cannan is an accomplished photographer who learned the value of a quality photo and the memories it can immortalize many, many years ago. Today, that exhaustive knowledge of Port O’Connor serves Cannan well, not only through his angling adventures but also his burgeoning career in real estate sales. 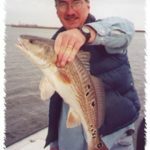 Along with chartering fishing trips, as a licensed realtor Bill Cannan has been firmly established in the real estate business for well over a decade. He enjoys a well-earned reputation as an up-front businessman who always keeps the interests and needs of his clients and customers foremost in mind. Port O’Connor affords more than a top-notch fishing locale and premier locale for property sales, Cannan explains. It is, he says, “a lifestyle.” He has, in fact, created a business, “POC Style,” through which he markets apparel, artwork and other high-quality products that convey the essence of everything that makes the serene coastal burg of Port O’Connor the relatively-undiscovered gem that it is. “I moved from Galveston to Port O’Connor in January of 2006 to sell property for the Sanctuary at Costa Grande,” Cannan says. The Sanctuary is appropriately named, a wonderfully-secluded and yet easily accessible getaway nestled amidst some of Port O’Connor’s most classic inshore terrain. Developed with the environment in mind, it’s not uncommon for Sanctuary property owners and visitors to see bottle-nosed dolphin herding pods of mullet or schools of “tailing” redfish nosing the bottom for tiny blue crabs as they stroll the shores and quietly paddle kayaks amidst the facility’s unique and sprawling manmade estuary. On the water or on the property, Bill Cannan is a man who is living his passion. “The opportunity to live in Port O’Connor, to run charter fishing trips and sell real estate, is a dream come true,” he says. “When the opportunity arrived, I jumped on it. In Galveston, I chartered trips and sold for Harborwalk, and I had a great time. But,” he adds, “Port O’Connor is a smaller, friendlier and more intimate place. The POC Style website is a virtual reflection of Capt. Bill Cannan’s unique perspective on Port O’Connor, his heartfelt philosophy about the area and unabashed fondness for both its residents and its visitors. The website is under continual development; then again, most everything Bill Cannan does is a work in progress. Never satisfied with the status quo, Cannan strives day after day to perfect his skills, profiling, presenting and promoting the classic coastal region that has become such an integral part of his life. He also established longtime ties with the outdoor press, and in particular veteran Texas outdoor writer, photographer and broadcaster, me Larry Bozka. Cannan and I have been close friends ever since, and we still get out on the water and collaborate at every available opportunity. “Larry put me on the map with freshwater fishing,” Cannan says. “He wrote articles and ran a lot of photos of our trips in a number of magazines, and he basically jump-started my career. Suddenly my phone was ringing with calls from people who were eager to pay me to take them fishing. POC Style presents a variety of high-quality tee-shirts. The source of the spectacular artwork that adorns those shirts is artist Larry Rackley of Yellowfin Gallery. Rackley lives in Alabama and spends a great deal of time on the road, attending consumer and trade shows and promoting his popular artwork and apparel. Creating a collective base of wide-ranging, diversified and yet inimitable work and services is one thing. Effectively marketing such a package, however, one that is quite unlike most everything else in the outdoor arena, is entirely another. For that, Cannan relies on the capable guidance and capabilities of longtime friend and business adviser Pat McCarty. POC Style is hosted by McCarty. A recognized and highly-regarded magazine publisher, Pat McCarty is a veteran participant in the online community as well. The savvy, leading-edge marketing tactician is an acknowledged visionary, one who utilizes the Internet to its utmost on behalf of several hundred website clients throughout the country. McCarty has long been a valued consultant and confidante to Cannan, and he continues to work hard with his good friend and business cohort to present and promote POC Style’s one-of-a-kind essence. and friends, Pat lives in Angel Fire, New Mexico, with his wife, Paulette. The two are avid skiers, hikers, and … of course … fishermen. If history is any guide, Capt. Bill Cannan will in the foreseeable future no doubt be at the helm of just such a craft, trolling the aquamarine swells of POC’s offshore depths and meticulously scanning the surface for the telltale slash of a marlin bill thrashing inside the big boat’s crystalline wake. Meanwhile, however, he’s not complaining. When your passion becomes your life, when the things you love and treasure go to the very core of how and where you make your living, Capt. Bill Cannan will be the first to admit that it is indeed very difficult to complain. Then again, that’s just the nature of POC Style.